Litiana is a 15 year old girl and in Form 3 of high school with four or five years of education to complete. Litiana lives with her parents in a village setting. They are extremely poor, with her father working as a casual security guard and her Mother collecting river mussels to earn a few extra dollars. Litiana gets good marks at school and excellent school reports. She has just started secondary school and is desperate to continue her education. 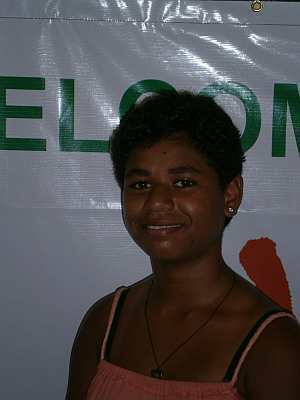 Litiana enjoys attending school and her favourite subject is English. When she is not at school she loves reading books. Litiana travels to school each day by bus. When she grows up, Litiana is "not sure" what she wants to be. I support Litiana's application for educational assistance.